YOU DON'T PAY UNLESS WE WIN YOUR CASE! Personal Injury cases are serious business, and winning them requires teamwork. 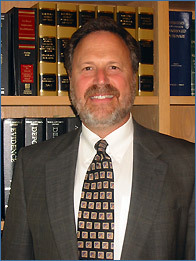 When you hire David C. Siegel, you get access to my entire network of experts, including private investigators, doctors to treat your injuries, economists to document your lost wages, engineers to re-construct your incident for the jury, and investment counselors to advise you how to maximize the returns on your cash award. It takes a team to win, and our firm has the network to get it done. $250,000 to 9 year old girl bitten on arm by uncle’s dog. $100,000 to 6 year old boy bitten on scalp by landlord’s dog. $1,000,000 to 75 year old man for death of wife in auto accident. $250,000 to retired man for injury to arm in auto accident. $400,000 to man assaulted by border patrol agent. $1,600,000 to police officer for broken leg when hit by tow truck as he directed traffic. $75,000 to 74 year old woman who fell in supermarket and injured knee.